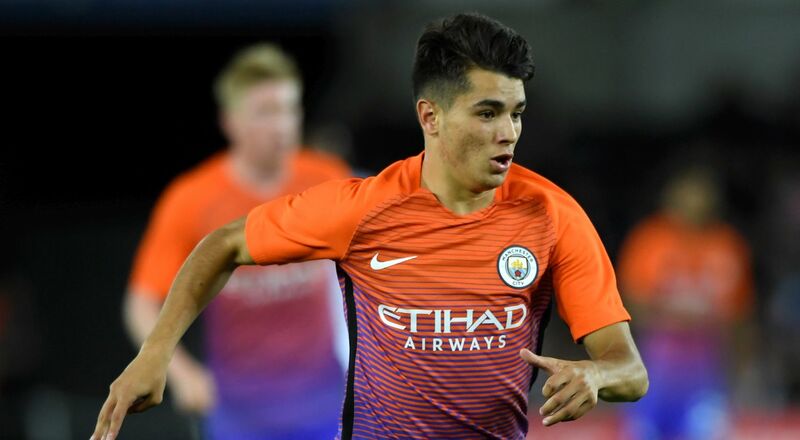 Unfortunately, as we learned yesterday, one of Manchester City’s most exciting young talents in years, Brahim Díaz, will play no part in tonight’s Carabao Cup tie with Wolves. The Spaniard suffered a knee injury in City EDS’ 4-1 win over Derby U23s at the weekend, having to come off at half-time after assisting the first goal of the game. Today he has confirmed the stories by taking to Twitter and saying he will be out for “a few days”. He is pictured with fellow absentees Vincent Kompany, who has been out of action for two months now, and Benjamin Mendy, who is on the long road back after suffering a ruptured cruciate ligament. It’s a very unlucky injury for the 18-year-old, who otherwise would have been in with a very realistic chance of starting tonight after Pep Guardiola claimed he could make eleven changes (which doesn’t seem possible, but explain his plans to rotate). City have seldom changed their lineup recently and Guardiola is expected to prioritise tonight by fielding a weakened side against the Championship leaders, hopefully one good enough to take City into the Carabao Cup quarter finals.